Nicely updated south facing 2 bedroom, 2 bathroom condo with tons of light and beautiful mountain views! Well maintained with new kitchen cabinets, countertops, newer appliances and updated bathroom sinks. 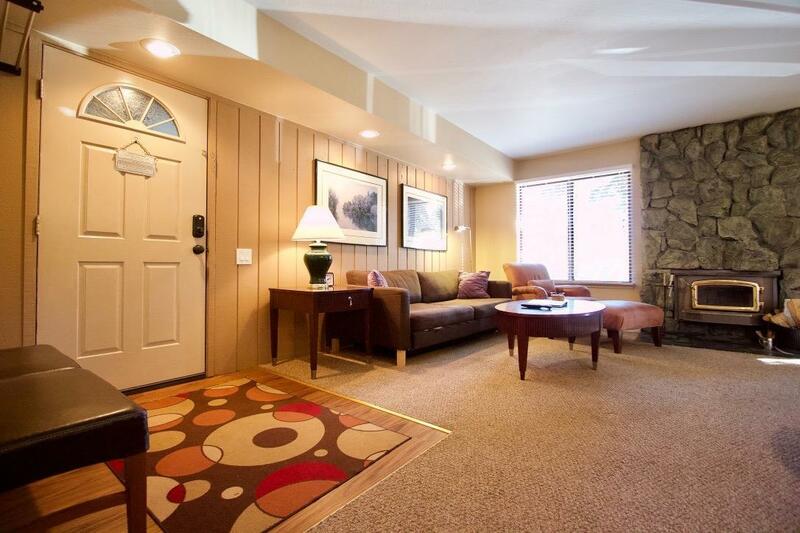 Great location in between the Village and Canyon Lodge with the shuttle stop right outside your door. Easy access to the condo from the parking lot. Close distance to the rec room for playing pool or ping pong. The complex offers a large hot tub, laundry facilities, large rec room, summer time pool, sauna, and BBQ's. HOA's include cable and internet and are paid on a quarterly basis. Comes mostly furnished and ready to enjoy! Listing provided courtesy of Jamie Kelly of Resort Property Realty, Inc..